• Selected provisions of Title 28 of the United States Code. Dana J. Dunwoody is a partner in the San Diego County, Del Mar Heights office of Sheppard Mullin Richter & Hampton's Business Trial Practice Group. Mr. Dunwoody's general business trial, arbitration and litigation practice emphasizes disputes concerning hotels, retail, real property, and complex contract, corporate, and partnership disputes. Mr. Dunwoody is a member of the International Society of Hospitality Consultants (ISHC). Mr. Dunwoody is the former Chair of the Executive Committee (1998–1999) of the then 12,000 member Litigation Section of the California State Bar. From 1990 to 1994 he served as the Editor-In-Chief of Cal. Lit. 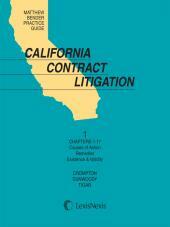 News, the Litigation Section's newsletter. Mr. Dunwoody also served as a Board member of the Association of Business Trial Lawyers of San Diego. Mr. Dunwoody is a frequent lecturer and panelist in continuing education programs sponsored by the California Continuing Education of the Bar (CEB), the Association of Business Trial Lawyers (ABTL), the National Institute of Trial Advocacy (NITA) and other organizations, where he has taught classes on trial and deposition techniques and strategies. Mr. Dunwoody has served as a Consulting Editor for CEB's "Action Guide" series. He co-authored a chapter on Alternative Dispute Resolution, Mediation and Arbitration of hospitality disputes in "Hotel Investments: Issues & Perspectives"—4th Edition. 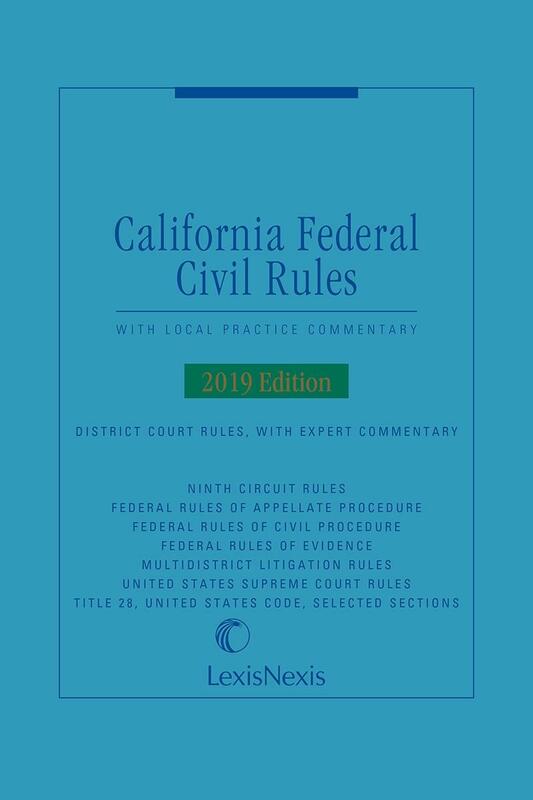 He has edited portions of CEB's "Effective Use of ADR in California," and has written numerous other articles on legal and hotel-related topics. Prior to joining Sheppard Mullin, Mr. Dunwoody practiced for 15 years as a member of Mazzarella, Dunwoody & Caldarelli LLP, in San Diego, a boutique trial firm he founded. Prior to that, Mr. Dunwoody was associated with the San Diego office of Allen, Matkins, Leck, Gamble & Mallory, San Diego's Luce, Forward, Hamilton & Scripps, and Los Angeles's Cox, Castle & Nicholson. Mr. Dunwoody is a former Judicial Extern for the Honorable Laughlin E. Waters of the United States District Court for the Central District of California. He received his Juris Doctor degree in 1985 from Boalt Hall School of Law at the University of California, Berkeley, where he served as an Associate Editor for the Industrial Relations Law Journal. Mr. Dunwoody received his Bachelor of Arts degree from the University of California, San Diego, with High Honors in Economics. Laura Fowler is an attorney in Sacramento, California, of counsel to Best Best & Krieger LLP ( www.bbklaw.com). She received her B.A. from California State University, Sacramento, and her J.D. from McGeorge School of Law, where she graduated as Valedictorian and where she served on the editorial staff of the Pacific Law Journal. Ms. Fowler clerked for Judge Milton L. Schwartz of the United States District Court, Eastern District of California from 1996 to 1998. Ms. Fowler specializes in employment law, representing employers in a variety of court and administrative proceedings. She has defended both public and private employers in lawsuits in state and federal court for wrongful termination, breach of contract, unpaid wages, harassment, failure to accommodate, retaliation, and discrimination. She has also represented various public and private entities in proceedings before the Equal Employment Opportunity Commission, the Department of Fair Employment and Housing, the Workers' Compensation Appeals Board, and the Division of Labor Standards Enforcement. Ms. Fowler also provides employers with day-to-day advice regarding wage and hour issues, leaves of absence, disability accommodations, and decisions regarding discipline and termination, and she drafts employee handbooks, policies, employment agreements, and severance agreements. Ms. Fowler is a member of the State Bar of California, the American Bar Association, the Sacramento Area Human Resources Association, and the Sacramento Employers Advisory Council. Marc M. Seltzer is partner of Susman Godfrey L.L.P. and a member of the firm's Executive Committee. He joined the firm in February 1998, and became resident head of the firm's new Los Angeles office. Prior to joining Susman Godfrey L.L.P., he was a partner in the law firm of Corinblit & Seltzer, a Professional Corporation, for more than 20 years. He has concentrated his practice in the prosecution and defense of complex business law cases, with a strong emphasis on antitrust, securities, corporate and financial institution law. Over the years of his practice, Mr. Seltzer has been counsel in numerous high profile cases, including the Equity Funding, Taxable Bond and ZZZZ Best securities fraud cases and the Corrugated Container antitrust case and, more recently, the Vitamins and Korean Airlines antitrust cases. He has also argued several appeals in the Fifth and Ninth Circuits. Mr. Seltzer graduated from UCLA Law School and was admitted to the State Bar of California in 1972. He is a member of the Bars of the United States District Courts for the Central, Southern, Eastern and Northern Districts of California, Eastern District of Michigan and Eastern District of Texas, and the United States Courts of Appeals for the Fifth, Ninth, Tenth and Eleventh Circuits. He is a member of the American Bar Association (and its Business Law, Antitrust Law, Torts and Insurance Law and Litigation Sections), the American Association for Justice and the Los Angeles County Bar Association. He is a member of the Executive Committee of the Litigation Section of the Los Angeles County Bar Association. He is also a member of the Board of Governors of the Association of Business Trial Lawyers. He served on the Executive Committee of the Antitrust and Unfair Competition Law Section of the State Bar of California. He is past President and a member of the Board of Directors of the Ninth Judicial Circuit Historical Society and past President and member of the Board of Directors of the Legal Aid Foundation of Los Angeles. In 1985, Mr. Seltzer was elected to the membership of the American Law Institute. He is also a member of the Selden Society. In 1972 and 1973, he was a Deputy Attorney General for the State of California specializing in handling criminal appeals. Mr. Seltzer is a frequent lecturer on various aspects of complex civil litigation, including participating in programs sponsored by the California Continuing Education of the Bar, the American Bar Association, the Practicing Law Institute, the American Association for Justice, the Los Angeles County Bar Association, Prentice-Hall and Glasser Legal Works. Mary Jo Shartsis is one of the founding partners of the firm Shartsis Friese LLP. She specializes in complex business litigation, including contract disputes, business torts, unfair competition, antitrust, corporate and partnership disputes, and banking and finance litigation. She has also represented employers in wrongful termination and discrimination cases. Her practice has included representation of financial institutions, manufacturing firms, partnerships, corporations and individuals. In 2003, she was named one of the Top 50 Women Litigators in California by the Los Angeles and San Francisco Daily Journal and has been named a Northern California Super Lawyer in business litigation each year since 2004. In addition to her litigation practice, Ms. Shartsis has served as a party-appointed arbitrator in complex commercial cases and has also served as an arbitrator for the American Arbitration Association in real estate, partnership and securities disputes. She has lectured on various alternative dispute resolution techniques to lawyers and judges in Egypt, Jordan, Israel, the Palestinian Authority, and India. A substantial portion of Ms. Shartsis' practice has been in federal court. She is admitted to practice in the United States District Courts for the Northern, Eastern, and Central Districts of California as well as the United States Court of Appeal for the Ninth Circuit and the United States Supreme Court. She served as a Lawyer Representative to the Ninth Circuit Judicial Conference from 1994 to 1997. 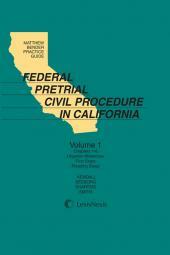 She is also a contributing author of Federal Pretrial Civil Procedure in California published by LexisNexis (Matthew Bender). 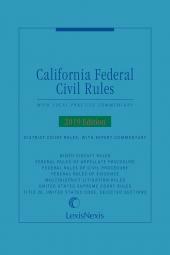 Her state court practice has included litigation in San Francisco, Marin, Alameda, Santa Clara, San Mateo and Contra Costa County Superior Courts. Ms. Shartsis is a past member and past President in 2012 of the Board of Governors of the Northern California Chapter of the Association of Business Trial Lawyers. She is a member and past Chair (2008–2010) of the Board of Directors of The Legal Aid Society—Employment Law Center. She is past Chair of the San Francisco Bar Association Litigation Section Executive Committee and served two terms on the Judiciary Committee. In addition, she is a member of the American Bar Association Litigation Section and a fellow of the American Bar Foundation. She has served on various panels on a variety of topics, including case management, arbitrator disclosure obligations and law practice issues. Ms. Shartsis received an A.B. degree from the University of California at Berkeley in 1969 and a J.D. from the University's Boalt Hall School of Law in 1972, where she was a member of the California Law Review.